Is Your Condo Board Responsible for Pest Infestations? - Advanced Management Inc.
Is Your Condo Board Responsible for Pest Infestations? When you get an email or a phone call from a condo owner who is upset about a pest problem, what do you do? Is the condo board responsible for handling the problem? Or is pet control something that condo owners need to handle on their own? Whether they are dealing with roaches, snakes, mice, rats or any other type of household pest, the problem is one that needs to be addressed immediately to prevent further infestation. 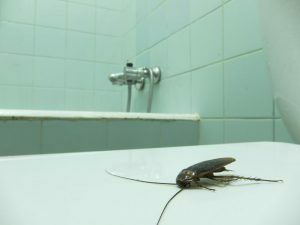 Are Condo Boards Responsible for Pest Infestations? Generally speaking, individual condo owners are responsible for pest control within their own space, and the board is responsible for pest control in common areas. Unfortunately, these types of nuisances often do not confine themselves to one area, and there’s where the line determining who is responsible becomes blurred. Pests can be extremely difficult to eliminate, and an infestation that originates in an individual unit can quickly spill into common areas and other units. This probably is especially common in condominiums where many people live in close proximity. When dealing with pest infestations, it is best if both the condo owner and the board exercise goodwill and common sense. The sooner the problem is dealt with, the better it is for everyone who is involved. In situations where an infestation occurs as the direct result of an owner’s actions, it is reasonable for the board to require that individual person to cover all costs associated with getting rid of the pests. Infestations that impact both common areas and individual units need to be dealt with in a coordinated manner, so it’s always best to work closely with the owners of any involved units. Check your association’s CC&Rs. There may already be information regarding how your association will handle pest infestations. If not, check local laws to determine the best way to handle the situation. Pest infestations are a common problem, especially in warm climates. Unwanted guests are often difficult to get rid of, so it’s a good idea to have pest control plans in place to prevent or eliminate future infestations. Your condominium manager can help you develop and implement these plans. Contact AMI to learn more.